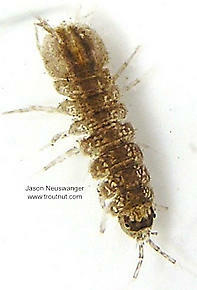 Sowbugs, like scuds, are crustaceans. They are not generally as prolific and therefore not as important to the trout, but it can be useful to carry an imitation on weedy spring creeks. These are often called Sowbugs.